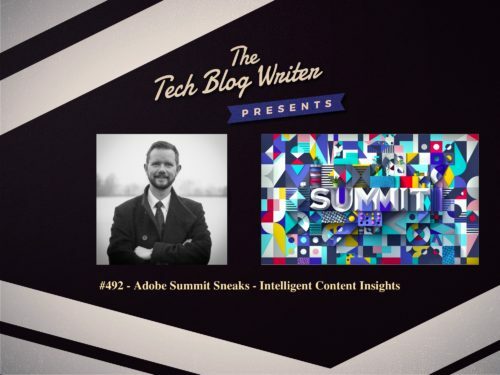 After wandering the show floor at this year’s Adobe Summit, I convinced Jonas Dahl to give me a preview of his sneaks session. This project uses AI to analyze past content (in videos for EX, analyzing everything from people to objects) and it then provides recommendations for future blog content. Intelligent Content Insights: Content marketing has been a proven way for brands to attract and retain customers. Compared to traditional marketing methods, it is six times more effective in driving conversion. As competition for eyeballs intensifies, AI and data science will soon play a critical role in driving future success. With this project, marketers can leverage advanced technology and tap an AI assistant for their content strategy efforts. Take a travel site for instance, where an upcoming video series is planned around Summer vacations. The system will analyze the brand’s existing video library, mapping performance data with a tremendous amount of content attributes such as objects, moods and actions. Commonalities across high-performing assets are identified, and a recommendation is generated for variables including length, format, people and more. As these are research projects, there is no formal commitment to product roadmap or release dates. However, Adobe has a good track record, and around 60% of projects in Sneaks make it into a product. Sneaks, happening day 2 of Adobe Summit, is one of the most popular events at the show. Co-hosted by Leslie Jones this year, it is the biggest unveiling of labs projects for Adobe all year. As Product Manager for Research and Technology Innovation for Adobe Experience Manager (AEM), Jonas Dahl’s main focus is to strengthen product innovation in AEM, and ultimately the AEM business, through research that is coming out of the Adobe labs. Dahl works closely with AEM product managers, their researchers in the Adobe labs, engineers, and other stakeholders to define research projects, proof-of-concept, prototypes, and implementation of machine learning based innovations including deep learning based image analysis, predictive analytics, graph analysis, NLP, and recommendation systems.